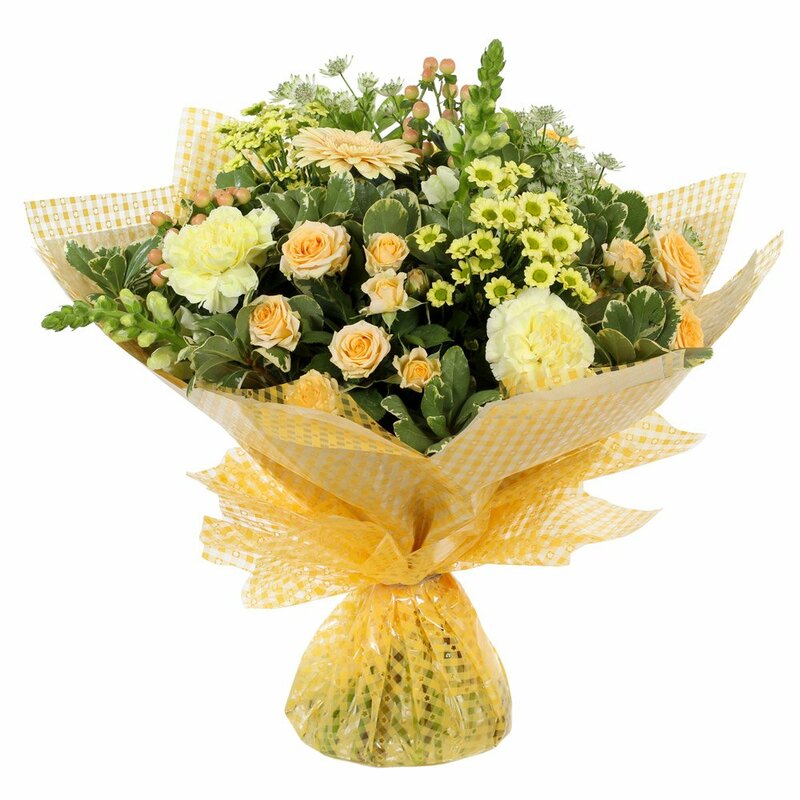 This gorgeous bouquet of cream, lemon and yellow flowers have been selected to create this wonderful floral display. The increasingly popular mini Gerbera together with the long lasting Carnations and Chrysanthemeums make this bouquet a little ray of sunshine. The flowers are gift wrapped in colour co-ordinated tissue paper and cellophane. Together with the flower food to ensure longer life and your personal card message, this is the complete package which will sure to be admired by all!